PAUL HOWARTH (20 at that time) and MARTIN EDMONSON (21). sound, composed by David Whittaker, was breathtaking. 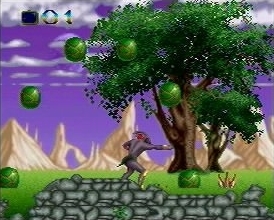 game was simply unbeatable because of bad gameplay. 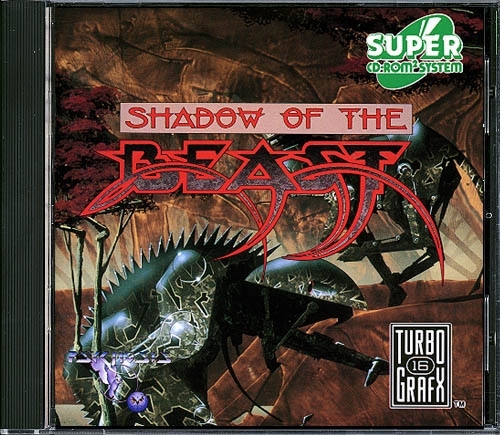 Unless you are using cheats it´s insanely hard..
than me now when they made Shadow Of The Beast. so the game is not THAT very big deal at all. 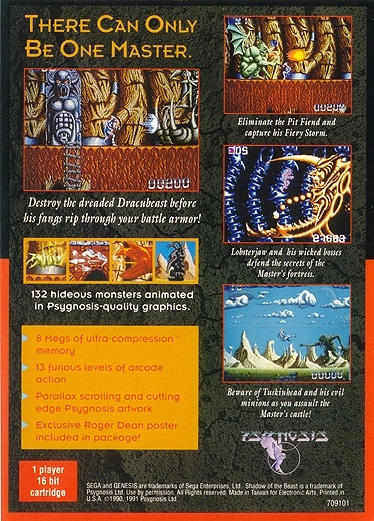 versions of the game for other platforms. Fujitsu Marty version with enhanced graphics and cd audio music! Sadly the FM Towns Marty version was only available in japan. On the other hand - did you own a FM Towns at that time..? It included a nice and original "Beast hates the dust" warning card. 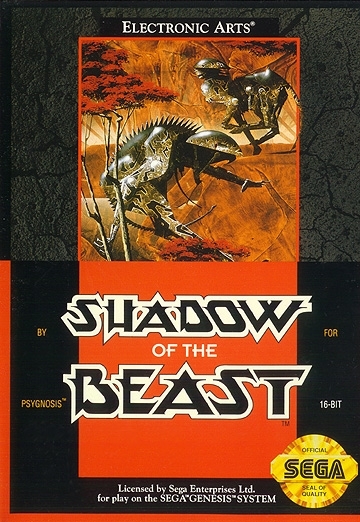 The full name of this version was "Shadow Of The Beast COMPLETE". because you either love it - or you completely hate it. technically perfect. The gameplay varies from part 1 to 3.
some like it - some don't. Just find out yourself..
the diskchange. 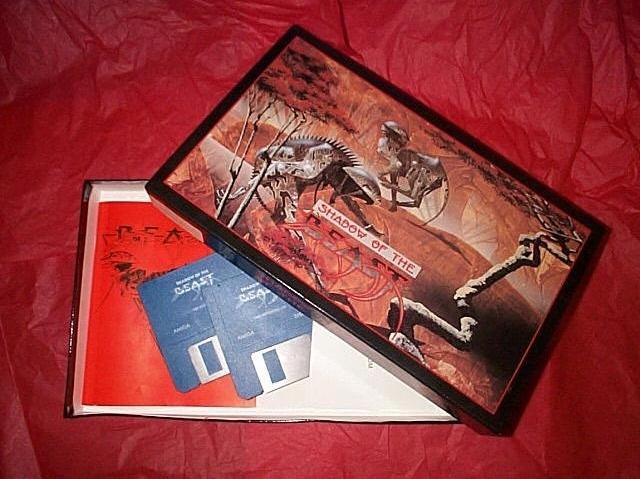 Then release the buttons and change the disks. When the game starts, you should be invulnerable. get invulnerability. Notice that the life counter still counts downward. 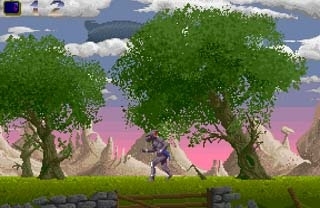 Shadow Of The Beast for Towns Marty (left) and for the AMIGA (right). 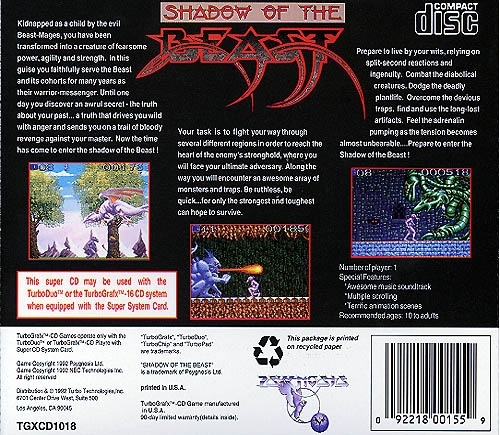 stickers on the disks with Shadow Of The Beast printed on them. 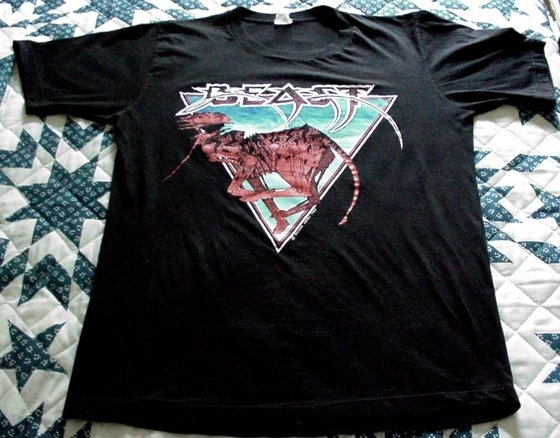 The large cover of the first Beast. The Artwork was done  by ROGER DEAN. 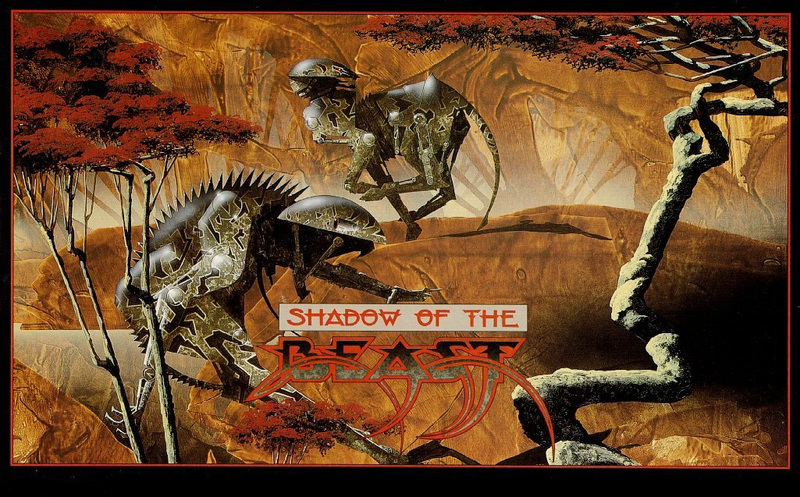 Back- and frontcovers from the Genesis version of Shadow Of The Beast. special redisigned. There is only a Super-CDROM version for the TurboGFX16. 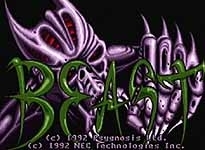 On the right you can see the original PCE-title screen of Beast1. 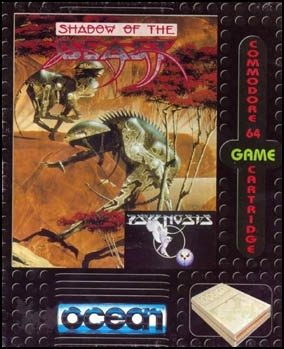 The originial C64 Cassette version of Shadow Of The Beast. 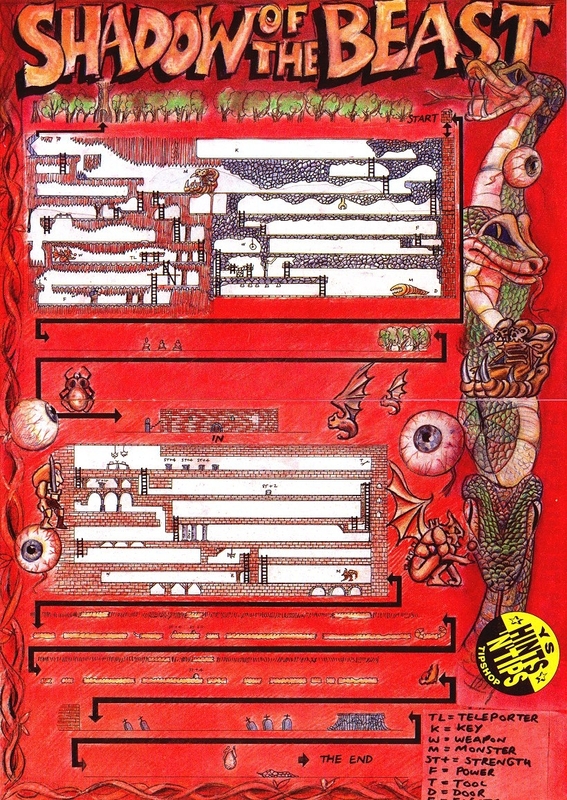 This is an inlay-cover scan. 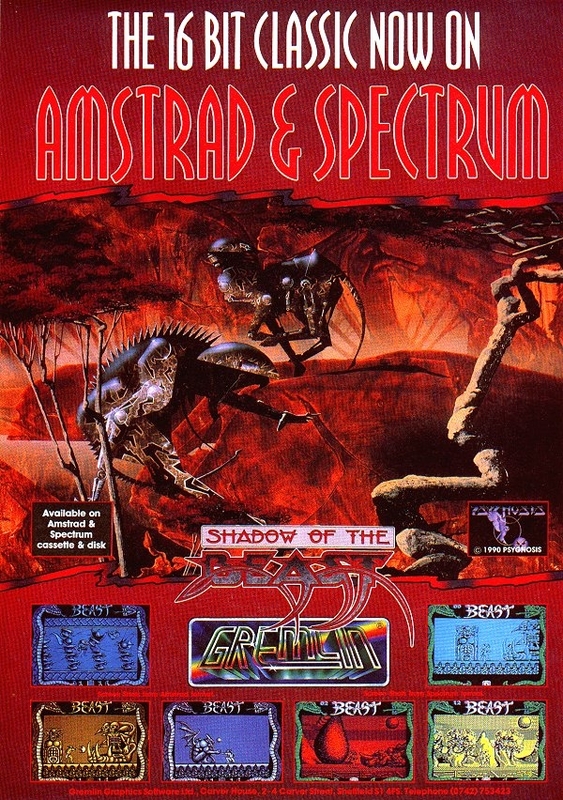 An advertisement flyer for the Amstrad/Spectrum Version of Beast. (no, not by me ;-)) It includes all secrets, every item and every boss.